Neil Gaiman To Write an Upcoming Episode of ‘Doctor Who’!!! Author Neil Gaiman will pen another script for ‘Doctor Who‘. 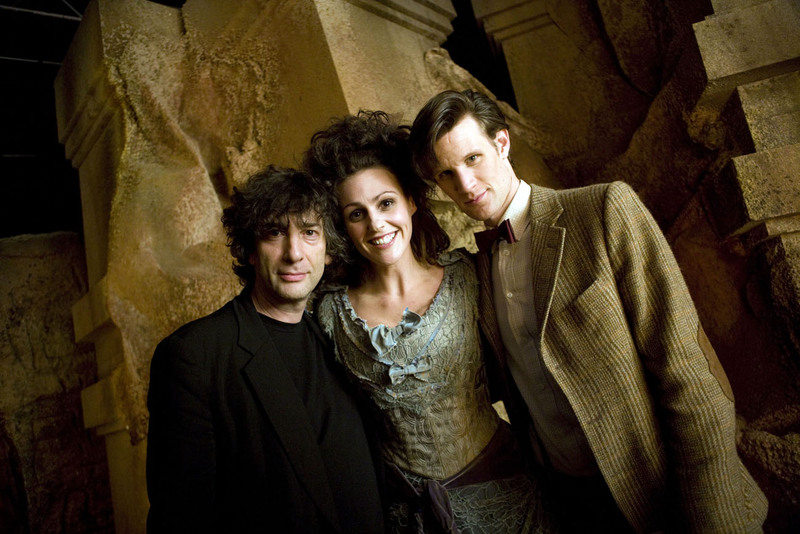 Gaiman won a Hugo Award for his 2011 episode of ‘Doctor Who’ titled ‘The Doctor’s Wife’. Now, Steven Moffat, the series executive producer has announced that Gaiman will return to write an episode for the current season that will feature the return of Cyberman, the vicious cyborg (much like cylons) enemies. The episode will premiere next spring and also star Warwick Davis, Tamzin Outhwaite, and Jason Watkins. Stephen Woolfenden will direct the episode, which he was a second unit director on a few of the Harry Potter films. It’s always a good day when you know Gaiman agrees to write an episode for one of your favorite shows. Doctor Who News: The 13th Doctor Is….. This entry was posted on Wednesday, November 7th, 2012 at 1:08 pm	and is filed under News, Television. You can follow any responses to this entry through the RSS 2.0 feed. You can skip to the end and leave a response. Pinging is currently not allowed. Not even the amazing Warwick Davis can save this show. It has become a parody of itself, and a bad one at that. It used to be that the writing and acting was stellar and the effects were secondary. Now it is all about the effects and the writing and acting are only addressed when the complaining about it gets too loud to ignore. The whole charm of the show has been abandoned in favor of cheap tricks and faggotry. I like the part where you used the word, faggotry. I loved Tenant, I like Moffat as a show runner just fine. Doctor’s Wife was an excellent episode so I look forward to this. Probably even more than Henry. Agreed Steven. Plus Warwick Davis will be in the episode? Don’t tease me with the possibility of Captain Jack if there will be no Captain Jack, Henry. I agree, he will be? Can we make “faggotry” an official Boomstick tag please? Actually, I understand what Henry is talking about when he says the show has lost its charm. It is very similar to the James Bond films. They are still very popular and all, but Bond is no longer a charming character. If you watch it with the faces blurred you wouldn’t be able to distinguish it from a Bourne movie unless you heard the names mentioned. It never mattered what the Doctor looked like in the past because his charm carried over from regeneration to regeneration. He was instantly identifiable no matter what he looked like. That is not the case anymore because the Doctor has got the personality of chicken fat. It requires great acting talent to convey charm, and Tennant was the last one to have that kind of ability. He conveyed charm even though it wasn’t written into the character’s actions. Eccleston could do it if it was written for him to do it, but the Doctor’s personality has been written in a completely opposing direction. Sulking, brooding, EMO Doctor is what we have now, and any ham out of high school can pull that off. Talented as Moffatt may be, he has taken this show in the completely wrong direction. The continual loss of viewership bears that out. Who fans want character, not FX, not pop cultural relevance, not broad appeal. None of those things are who the Doctor is. « Obama Wins Election. Romney Concedes.